Is it a bird? Is it a plane? No! 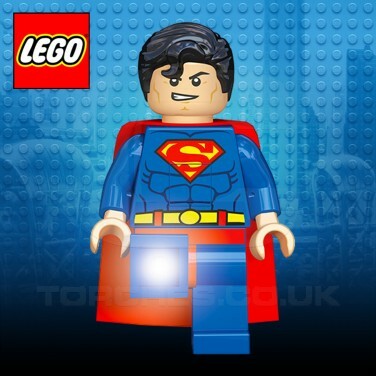 It's Superman, and he's here to battle darkness to bring light to your room! 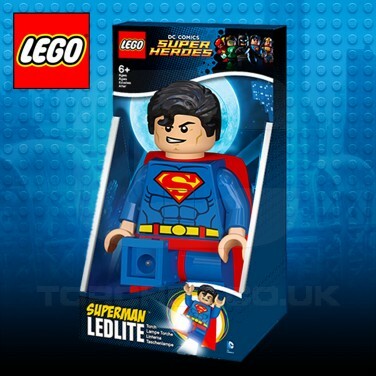 Complete with a Lego makeover, the Lego Superman night light is a torch too with LED lights shining from his feet. Place on one leg or pose him on his bottom to shine light in to your room or pick him up and press his belly to shine light from his feet. With a 30 minute sleep timer, this Superman night light really does save the day!